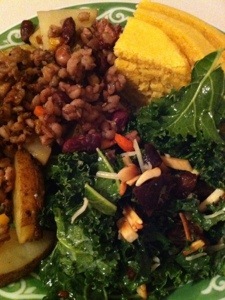 We had this amazing kale salad at our best friend Jessie’s house. She said she got it from a magazine, but I’m giving her all the credit because she is an excellent cook. 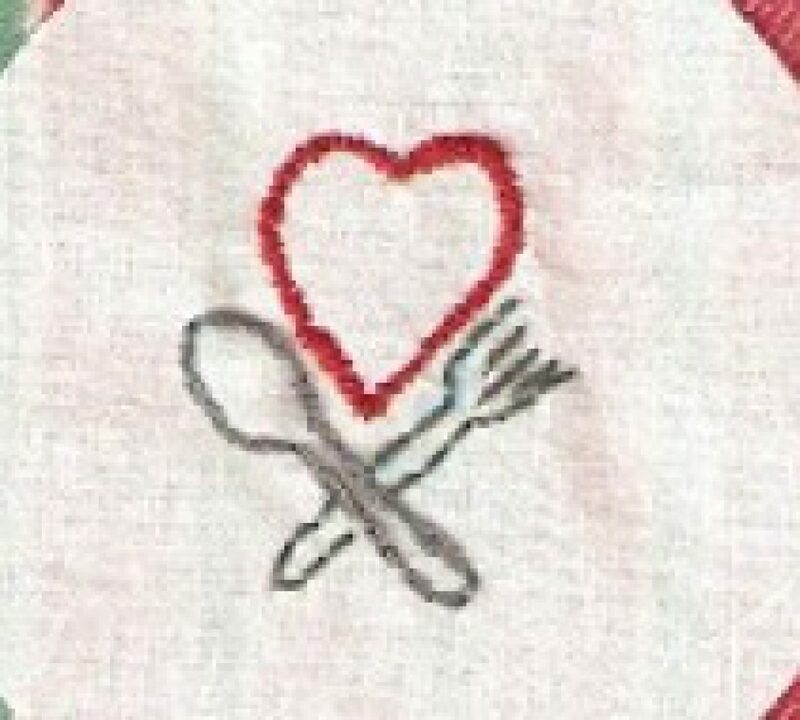 In a bowl whisk together lemon juice, shallot, honey, salt, and pepper flakes. Add kale and toss well. Let it sit 20 minutes. Mix in oil. Refrigerate for up to 1 day or serve immediately. In a dry pan, toast almonds over medium heat, tossing constantly until color turns golden (1-2 minutes). 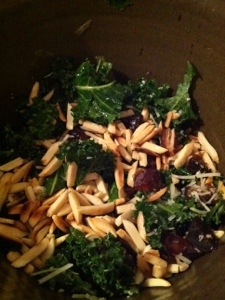 Add almonds, dates and cheese to kale and serve. 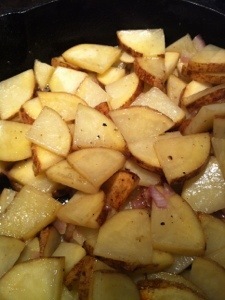 We had our kale salad with fried potatoes. 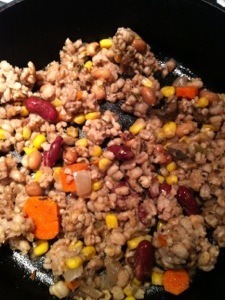 Reheated mixed grain casserole (which we sprinkled on the potatoes). 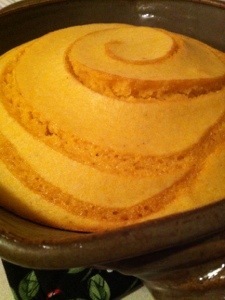 Thanks for the yummy recipe, Jessie!